Workplace safety is paramount in every industry, whether you are working with large and heavy machinery or working in a kitchen around flammable materials. One of the easiest ways to increase workplace safety is by renting work uniforms from Chesapeake Uniforms. Work uniforms are a proven way to quickly and easily improve the workplace, and here are three reasons why. 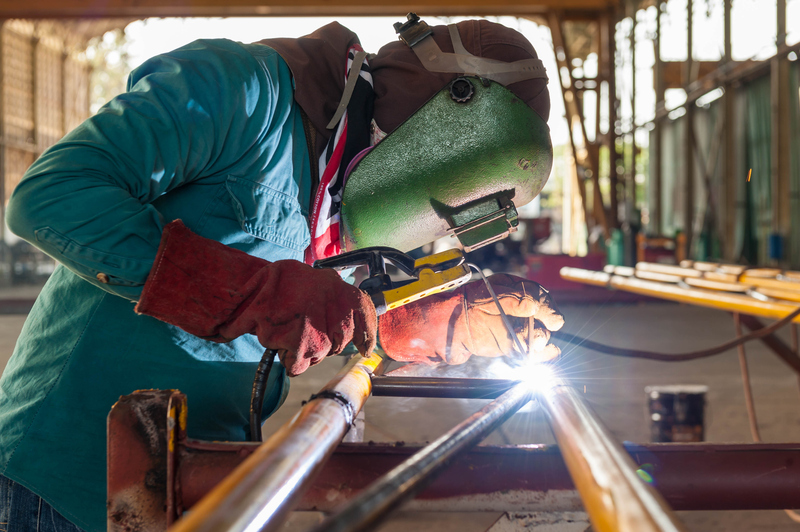 The Occupational Safety & Health Administration (OSHA) requires that every workplace take precautions to provide a safe work environment for employees. Work uniforms are an ideal way to help foster workplace safety, as they can be optimized and customized to specifically do just that. If your employees work in an environment with fire, use flame resistant materials. If they also work around heavy machinery, the flame retardant clothing can be fitted to the body so that it doesn’t snag. If your employees work around electrical equipment, use uniforms without any metal zippers, buttons, or fasteners to avoid shocks. Working in a lab? Protecting against chemicals is essential to workplace safety. Snap-front lab coats can be quickly removed if chemicals are spilled to prevent contact with the employee’s skin. Working in construction? Construction uniforms are also designed for maximum visibility, so that your workers will stand out on a busy road or sidewalk. If you rely on employees to clean their own work uniforms, particularly if they are customized and need special laundering methods, you are setting yourself up for failure. Uniform rentals allow your old uniforms to be taken away, cleaned, and repaired properly by professionals. You will always have clean uniforms, in good repair, to give your employees. Keep in mind that many of the design features on a uniform designed for workplace safety will lose their efficacy altogether if they are not properly cared for. Proper cleaning and maintenance are critical. One of the best things about work uniform rentals is that they also help to increase your workplace safety standards. You will lower your risk of an accident occurring and also make your workers feel more taken care of. Always talk with your Chesapeake Uniform representative about any specific job requirements that your office has. You can always design multiple variations of your uniform for different workers, like one color for those driving trash trucks and other safety features for those working to operate sorting machinery.